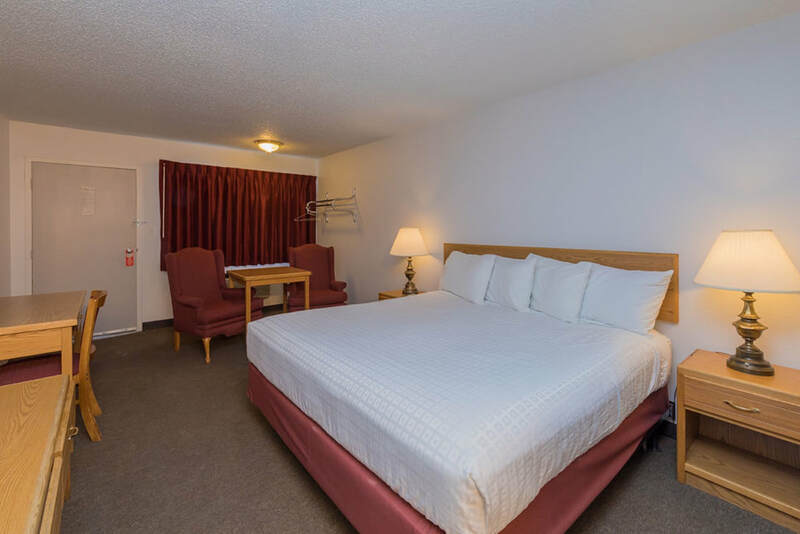 Conveniently located near I-80 in Rock Springs, Wyoming, the Motel 8 Rock Springs serves as the ideal choice of hotels for budget-savvy executive travelers, sightseers and families seeking clean, comfortable and affordable accommodations alongside friendly service. With 91 comfortable, well-appointed guest rooms just a short drive from attractions like the WWCC Natural History Museum and the Dinosaur Museum, our hotel is the perfect destination for experiencing everything the Rock Springs area has to offer. All rooms offer convenient exterior access. Thoughtful in-room perks include free Wi-Fi, a microwave, a mini-fridge and air conditioning. One of the best-located and most budget-friendly hotels in the Rock Springs, WY area, the Motel 8 Rock Springs is conveniently situated near I-80 and downtown Rock Springs, just a short drive from attractions like the WWCC Natural History Museum, the Dinosaur Museum and more.